Taste test: We heard from a Wise route driver that these are just Cottage Fries rebranded under the Aunt Lisa name. With that already in my head, I guess these do taste exactly like the Cottage Fries chip. No matter, these are good, thick-cut, wide-rippled chips with a good potato flavor. There were a lot of chips in the bag, and a lot of them were unbroken. 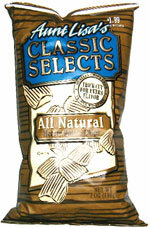 A good overall chip if you like plain chips. 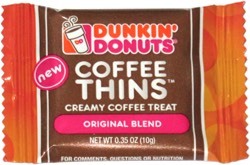 This snack was discovered by Keith and Melissa at Price Chopper in Guilderland, New York. Review published .